A real revelation of a hot hatch. Superb handling. Impressive performance. Really good fun to drive. Undercuts most rivals on price. Performance Pack is impressive but does cost an extra £3000. 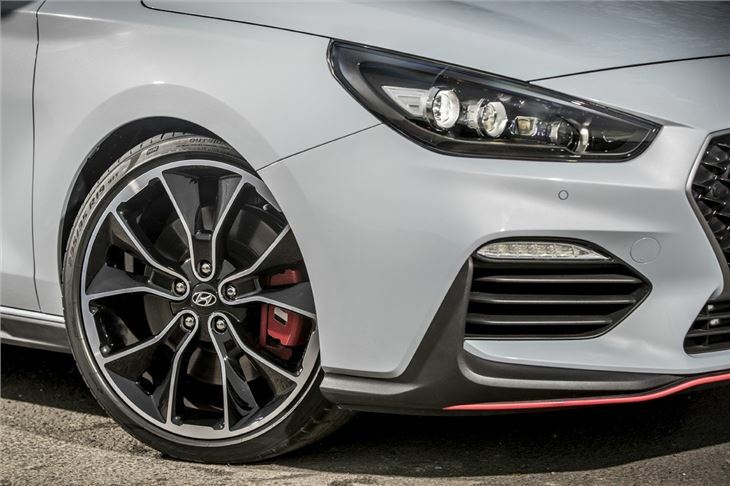 And now Hyundai is turning its hand to performance cars. Well, a hot hatch to be precise. It's taken the worthy if rather drab i30 hatchback and made it the first N car. 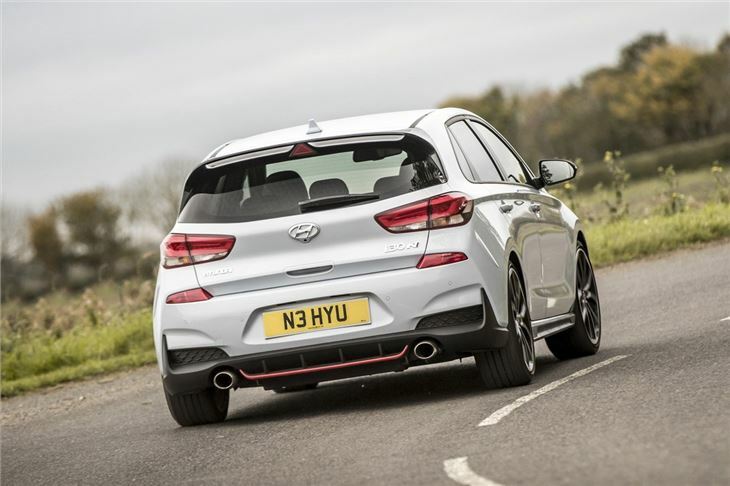 The Hyundai equivalent of GTI or ST.
Not that this is Hyundai's first foray into 'sporty' cars. It launched the much underrated Veloster in 2012, but it only lasted three years on sale in the UK. 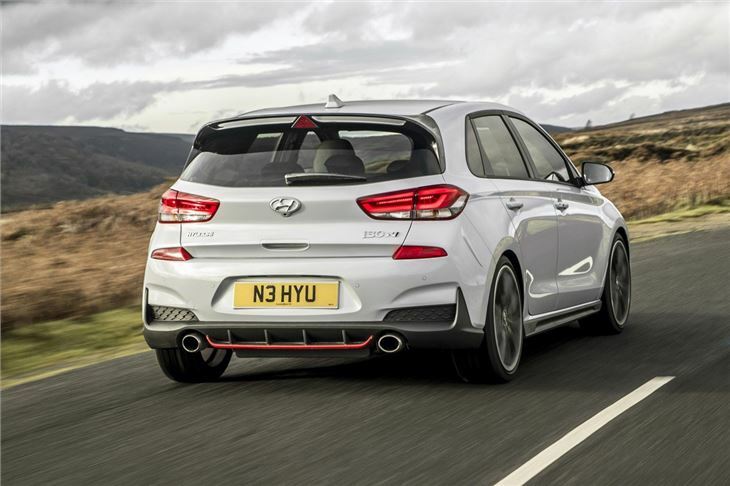 However, the i30 N is more focussed on the performance element. Hence why it's powered by a 2.0-litre turbocharged engine - the standard version has 250PS but the Performance version with 275PS is the one to go for. Both have the same peak torque of 353Nm, however the Performance Package means it keeps on producing it 500rpm further up the rev range, from 1450 to 4500rpm. Picking the Performance Package also adds larger 19-inch wheels wrapped with Pirelli P-Zero tyres, in place of the standard 18-inch wheels with Michelin Pilot Sports. There’s also an electronic differential designed to improve control in corners. The downside? It costs an extra £3000 but at £28k that's still not bad value compared to a Focus ST-3 which is priced around the same. Hyundai may never have designed a hot hatch, but it's got everything right with the i30 N. This thing is an absolute revelation. It's hugely enjoyable to drive, has all the performance you need and handles superbly. It even rides well. 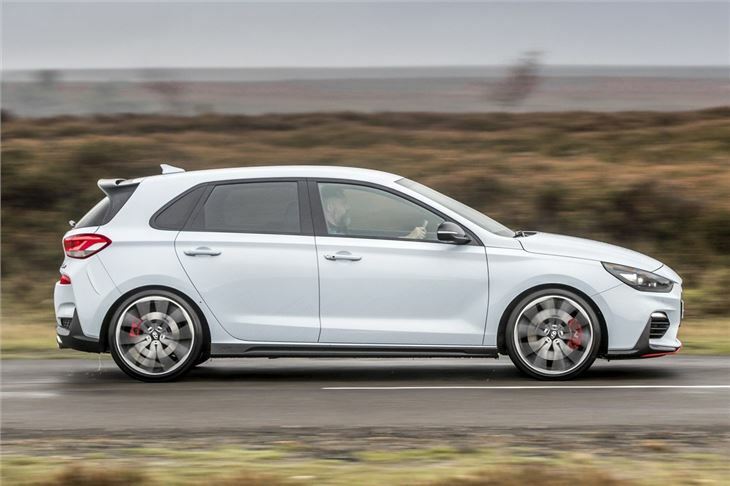 And while this is a genuinely superb hot hatch, it's still an i30, so that means a well built and practical car that also comes with a five-year warranty. Plus being a Hyundai, the chances of anything going wrong are slim. 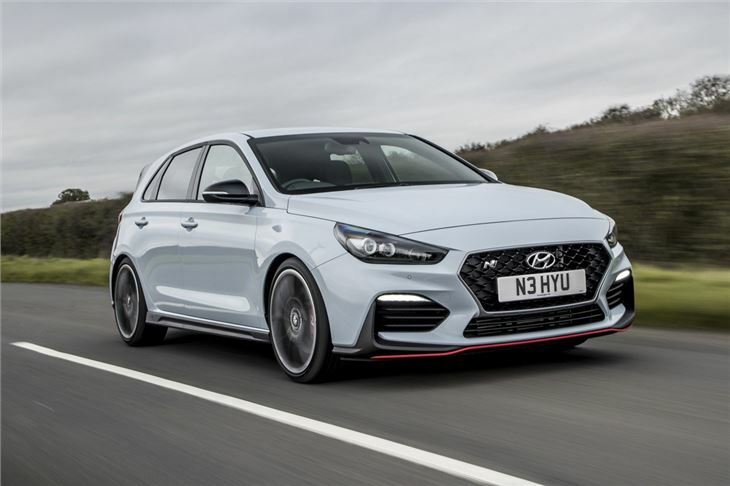 The Hyundai i30 N really is a proper hot hatch. It doesn’t feel like a half-measure or a case of "almost but-not-quite". 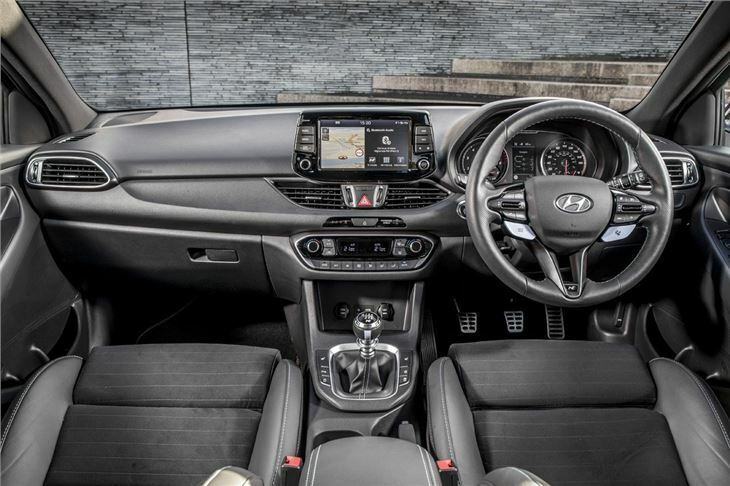 Perhaps the biggest compliment we can pay it is that once behind the wheel, you forget you're in an i30. Instead this is a great hot hatch in its own right. And why N? According to Hyundai, the N brand was created at its R&D centre in Namyang. And then honed at the Nürburgring. Yes, they had to mention that didn't they. 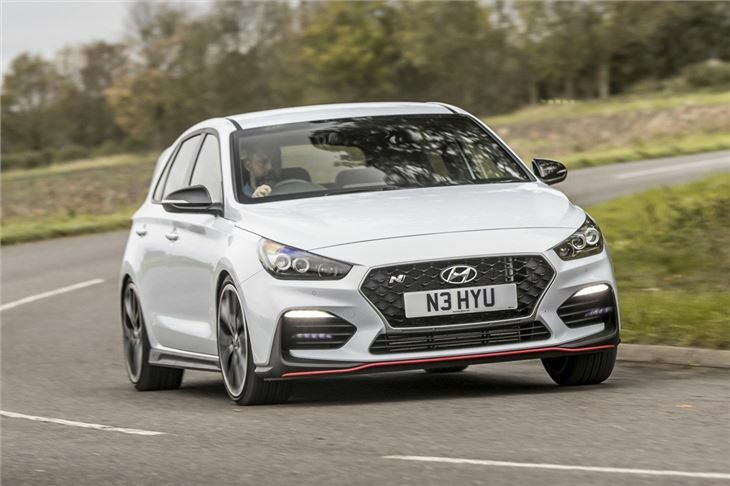 Apparently the ‘N’ symbolises a chicane, what Hyundai describes as 'the essence of its high-performance car development.' It also means Hyundai can use the phrase 'thrilling to the Nth degree'. See what they've done there.